Boston, MA, November 3, 2015 — Fish & Richardson has been ranked as an elite “National Tier 1” law firm in five practice areas – Patent Litigation, Intellectual Property (IP) Litigation, Patent Law, Technology Law, and Trademark Law – in the U.S. News & World Report – Best Lawyers® 2016 “Best Law Firms” rankings. 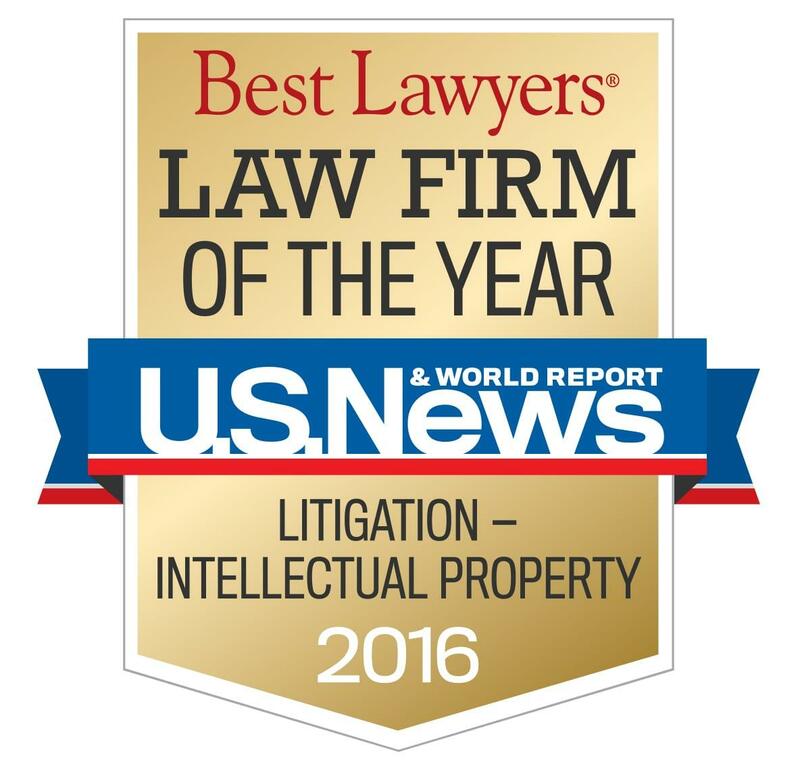 Fish was also recognized as the “Law Firm of the Year” in two practice areas: Litigation – Intellectual Property and Patent Law. Only one law firm in each practice area – from among thousands of firms nationally – is selected to receive “Law Firm of the Year” honors, making these two designations a particularly significant achievement. 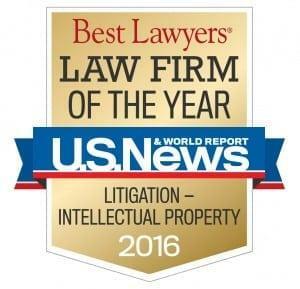 Fish’s high rankings and designation as “Law Firm of the Year” for both IP Litigation and Patent Law indicate a unique combination of quality of law practice and breadth of legal expertise. The rankings are based on a rigorous evaluation process that includes the collection of client and lawyer evaluations, peer reviews from leading attorneys in their field, and a review of additional information provided by law firms. Fish’s offices in Atlanta, Austin, Boston, Dallas, Delaware, Houston, Minneapolis, New York, San Diego, and Washington, D.C. also received top “Tier 1” rankings. Fish was also recently named the #1 patent litigation firm in the country for the 12th year in a row by Corporate Counsel magazine for handling a total of 201 federal district court patent cases in 2014 – more than twice as many cases as its nearest competitor. Earlier this year, Fish was named the #1 most active law firm at the Patent Trial and Appeal Board (PTAB) for 2014 by Managing Intellectual Property magazine, and the #1 firm at the International Trade Commission with the most cases filed in 2014 according to The National Law Journal.